A man slumped over the steering wheel. Two disfigured and bloodied bodies lay behind him, impaled with shards from a bloody, unhinged door. This is the devastating site of an attack on Egypt’s Coptic community. Two buses were ambushed by militia men on motorcycles shooting from all sides. While one of the buses escaped without harm, the other unfortunately fell victim to the ambush. The gunmen are said to be part of the Islamic State, and have been actively threatening the lives of Coptic Christians. Last year in May, Samia Adly, 56, had been traveling with her husband and two sons to a monastery in Minya, Egypt, when gunmen attacked their bus. Friday’s attack, which claimed 7 souls and left several more wounded, left emotional, political, and religious strife in a country attempting to regain stability. Survivors of the numerous attacks always recount the horrific moments where gunmen boarded the bus and began to fire at everything and anything that moved. Children, the elderly, and young men and women were all targets. Following the last year’s attack, President Abdel Fatah al-Sissi decreed in a televised speech that security officials would target any militant training camps, regardless of where they were based. According to the Egyptian interior, Egyptian fighter jets targeted several militant bases in eastern Libya, and after this year’s heinous attack, 19 militants were hunted down and killed by Egyptian police. Members of the Coptic community, however, wished that the state would increase its efforts to counter these attacks. 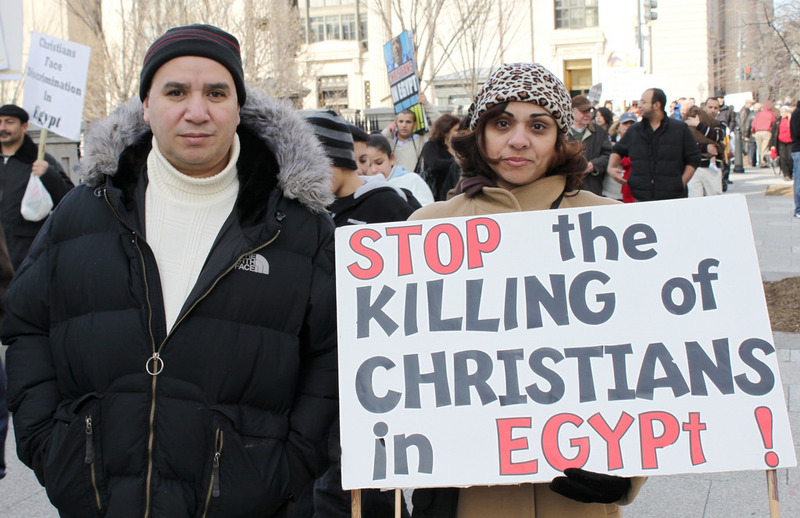 After all, just a year ago, the lives of 30 Coptic Christians had been taken in the exact same spot. Minya’s Coptic Bishop Makarios told The Washington Post, “What we need is real effort exerted to ensure this is not repeated, not just solidarity and compassion”. ISIS-related attacks, on average, garner attention from multiple media outlets. However, these insidious bus attacks seem to lack the same fervent attention. Social media, as well as traditional news outlets have been silent in conducting in-depth reporting on the repeated attacks against Coptic Christians in Egypt. This raises a very valid, and important question: Why? Assuming that the news reports on what their consumers want, then are we, as a society, numb to the struggle of terror attack victims, just because they’re Christians in a land so far from us? Have incidents like this bus attack become so normalized, that we have neglected to pay them much attention? The answers to these questions are far more complex than could possibly be teased out here. Yet, as active citizens, we should be asking these questions and seeking the answers amongst ourselves and our communities. An injustice anywhere is relevant to us, as members of the human race. And as such, we have an obligation to create a fuss when we see said injustices. In addition to offering our prayers and thoughts, we must garner the attention deserved by these horrific crimes against humanity, in hopes to motivate, inspire, and create real change.